Enrico Magnani is an Italian artist born in 1972. He definitively established his position in the art world after an eclectic journey through different fields, including time spent as a scientific researcher in nuclear fusion. At some point in his career, Magnani felt the need to make use of art in order to proceed along those narrow paths of knowledge where purely rational speculation is not enough. He felt the need to draw from the emotion, from that intuition that is not irrational, but "conversely rational" that only art, at a certain level of development, can express. Works from his first figurative period, in which he painted bodies and faces only with the explicit intent to "amplify the shock value," were shown in galleries in Milan and Nice (1997-2003) and in some group exhibitions in Venice, Innsbruck, and Palmi. Following this, Magnani entered a transition period that can be defined as “a blackout of meaning,” namely a lack of faith in the message of his artwork that made him lose momentum for public exhibitions, but not the desire to search and to paint. He left Milan for Paris (2004-2006), where he continued to work on the human figure, which became more clean and symbolic. Only in Germany, Karlsruhe (2006-2011), did he definitively attain abstract painting, material and symbols, with a higher message and, this time, "worthy of being conveyed." In 2010, in Germany, supported by Director Robert Walter, he presented his abstract creations for the first time at the Fondation Centre Culturel Franco-Allemand in Karlsruhe. In the same year, in Turin, he won the “Internazionale Italia Arte” and began a long-lasting and fruitful collaboration with the MIIT Museum and its director Guido Folco. In subsequent years, under the curatorship of Guido Folco, his work was exhibited in important group exhibitions in various European capitals (Prague, Sofia, Copenhagen, Vienna, Cologne, Berlin, London, and Rome) alongside great names on the Italian art scene, including Modigliani, Dova, Funi, Treccani, Boetti, Annigoni, Schifano, Scanavino, and Guttuso. In 2010 his book "Interview with Myself" was published, in which the artist explains the choices that led him to abandon the world of scientific research to devote himself entirely to art, the abandonment of figurative painting, and the newly found message which he aims to communicate in his abstract works. In 2011 he exhibited for the first time in the United States in a group exhibition at the 33 Contemporary Gallery at the Zhou Brothers Art Center in Chicago, initiating a collaboration that is still ongoing. In 2011 he also participated in the exhibition "Contemporary Italian Art" held at the Italian Cultural Institute in Copenhagen and “L’unità dell’Arte, l’arte dell’Unità”, in Rome, at Complesso dei Dioscuri Quirinale. In 2012 his work was featured in a solo exhibition at the Altes Dampfbad of Baden-Baden (Germany) and two group exhibitions at the Italian Cultural Institutes in Sofia and Cologne. In the same year, he initiated a collaboration with the Akbaraly Foundation with the charity exhibition "Imagine" held at the AEM Foundation in Milan. In 2013 he participated in two important solo exhibitions: "Mystical Treasures" at the Italian Cultural Institute in Stuttgart and "Harmonices Mundi" at the Italian Cultural Institute in Prague; the later inspired by the mystical themes of Johannes Kepler in the creation of a work dedicated and donated to the city of Prague in the presence of the Mayor and the Italian diplomatic corps. Also in 2013, his work was included in the collective exhibition, "Ad Aeternum" at the Palazzo Pontificio Maffei Marescotti in the Vatican City. In December 2014, the Museo Internazionale Italia Arte of Turin, held a retrospective entitled "Mystical Treasures - Works 2007-2014," accompanied by a catalog that included the works of his abstract period for the first time. Again in 2014, his work was included in a group exhibition entitled "Sentieri di Pensieri," that was held at the Italian Cultural Institute in Vienna. His wearable artwork/clothing was exhibited for the first time and was then featured in the national daily Italian newspaper La Stampa. In 2015 one of his works was included in the exhibition "From Picasso to Contemporary Artists" at the Oud Sint-Jan Museum in Bruges, Belgium. In October of the same year, he displayed his art project "Cosmic Hug - Connecting Art and People Together" at the Pinacoteca Ambrosiana in Milan, marked by an event featured in Vogue Italia, which was presented by Alessandro Cecchi Paone to raise money for the Akbaraly Foundation. His keenness for charity projects has brought him to support associations like the Akbaraly Foundation (Madagascar), United Charity (Germany) and Ring14 (Italy). In April 2016, following the invitation of the director Giovanni Sciola, he returned to the Italian Cultural Institute in Prague with "Magnum Opus," an exhibition held on the occasion of the international academic conference "Greed of the Unknown." In May of 2016, at the Zhou Brothers Art Center in Chicago, he created the collection "Universal Flag," which was then exhibited in the homonymous exhibition, curated by Sergio Gomez, at the ACS Gallery. In November of the same year, the documentary film "Enrico Magnani - Mystical Treasures" was made and broadcast on national television on January 10, 2017. In February 2017, with "The Gold of the Earth", an exhibition curated by Prof. Massimo Mussini, at the Cloisters of San Domenico in Reggio Emilia, he makes his biggest retrospective. In September of the same year, following the invitation of the director of the Italian Cultural Institute, Alberta Lai, presents his personal "Supernova - Birth to Life" in Chicago. 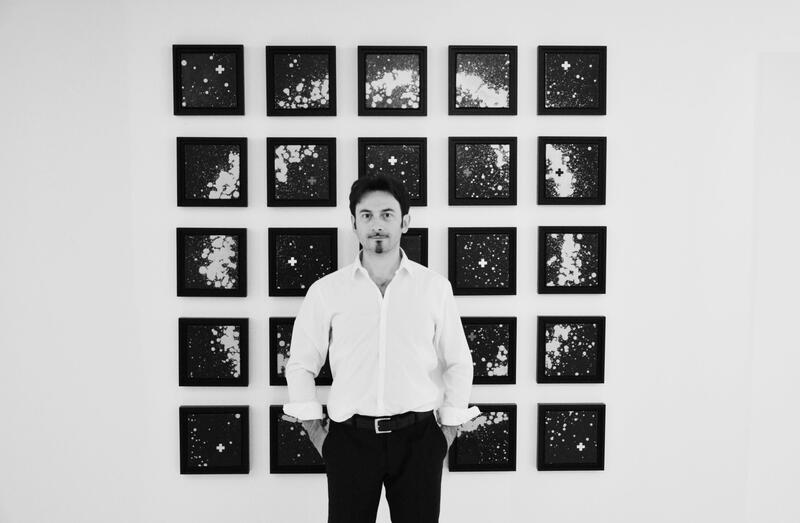 In February 2018 with the exhibition "Supernova - Figurazioni Cosmiche", curated by Francesca Barbi Marinetti and Simona Cigliana, Enrico Magnani shows in Rome, at Sala del Cenacolo of the Italian Chamber of Deputies, the Supernova collection exhibited the previous year in the United States.